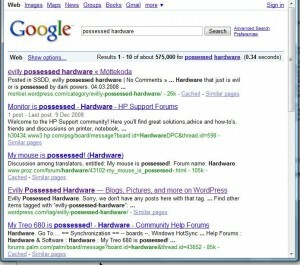 In May 2009 there where 575.000 results for „possessed hardware“ on Google, now its up to 631.000 search results! Just a further proof that this is a serious problem! Autor Johannes AuerVeröffentlicht am 7. März 2016 Kategorien Fun Stuff1 Kommentar zu The End of the World is Near!